We wanted to research how people are spending their summers, the distance they're traveling, how much money they are spending, and what they're doing different than last year. 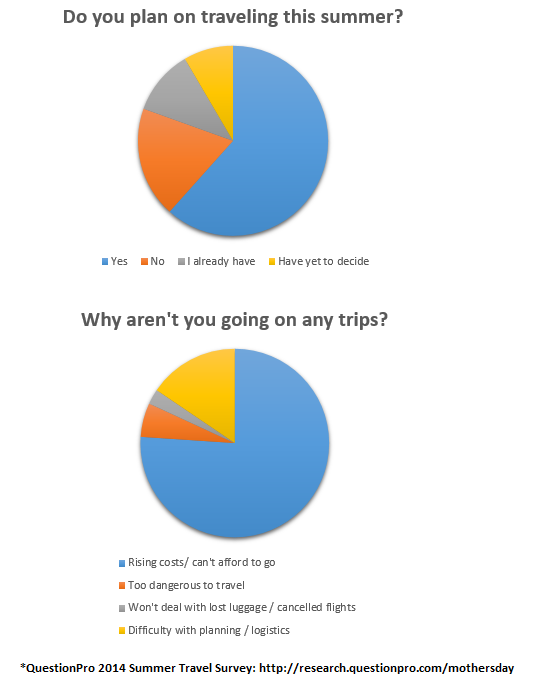 We found that over 72% of respondents plan to travel or already have this year. Over 76% of those who aren't travelling citing high costs as the main reason, with hotels and airfare at the top of the list. 30% plan on posting to social media while on vacation, with Facebook being the most popular posting platform. 40% do not plan to post anything on social media while on vacation. Click on the image above for the full survey results!